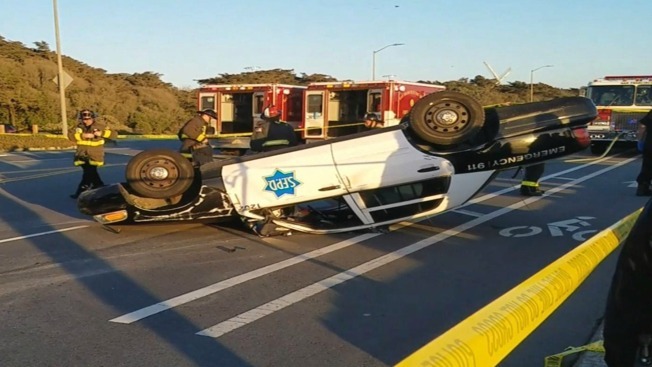 Two San Francisco police officers were injured Friday night after their squad car hit an object and rolled over, according to police. The collision, which resulted in the officers suffering non life-threatening injuries, happened just before 8 p.m. along the 1000 block of the Great Highway in the Richmond District, police said. It is unclear what the patrol car hit, but it triggered the vehicle to overturn and land upside down, police said. The officers were transported to a hospital, according to police. An investigation was commenced after the crash.